Gladys Leone (Dial) Ziegler was born August 4, 1934 in Topeka, Kansas, the daughter of Lowell and Flora (Hollenbeck) Dial. She grew up in the Topeka, Kansas area. Gladys raised her family along with her husband Gene Ziegler, Sr. in the Richland and Overbook communities, where she was employed at the local grocer and barbershop. Gladys retired from the State of Kansas as an Administrative Professional. Gladys was a loving wife, good mother and an exceptional grandma. Gladys enjoyed taking care of her home, which was always immaculate, and yard; spending many hours sculpting, manicuring and gardening. She enjoyed wildlife and nature. She and Gene would spend most sunrises and sunsets from their porch birdwatching and chatting together. 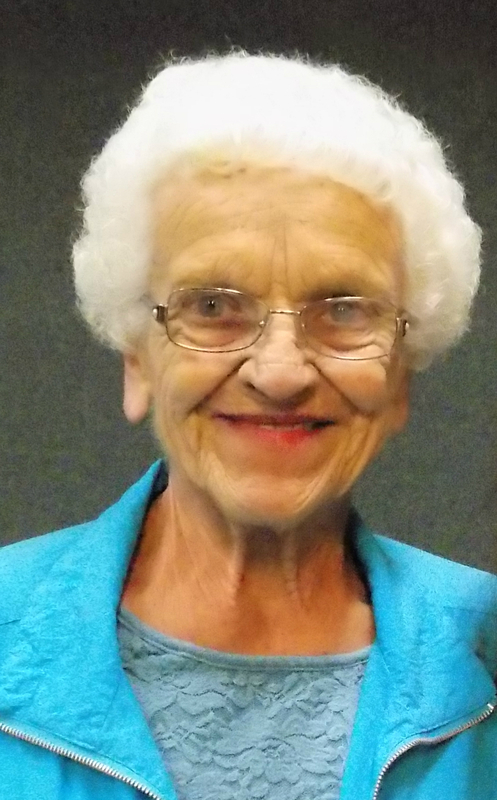 She was a member for many years of several local clubs: Busy Bee Club, Flower Club and local painting group. She was a skilled painter generating many beautiful, cherished pieces for her family and friends. She also provided artwork and cartoons for the local COOP publication. Gladys was the first artist to paint the Don’t Overlook Overbrook mural in 1978. Gladys also enjoyed going to the casino. Surviving family include her daughter Katherine Barnes of Texas; two sons, Gene Jr. and Mark Ziegler of Overbrook; 6 grandchildren and 7 great-grandchildren. Funeral services will be 11:00 a.m. Saturday, December 30, 2017, at the Overbrook Bible Church, Overbrook, KS. The family will receive friends for a visitation prior to the service beginning 10:00 a.m. Saturday at the church. Memorial contributions may be made to the Busy Bee Club and sent c/o Greenwood-Roberts Funeral Home, P.O. Box 268, Overbrook, KS 66524. Condolences to the family may be sent through www.lamb-roberts.com.